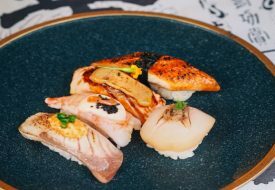 Sushi rolls, aburi nigiri… and more! Chi Kinjo is the latest brainchild of Coterie Concepts that brought you Sum Yi Tai, Mona Lounge, and Eliza. This modern sushi and izakaya restaurant’s kitchen is helmed by Chef Lamley Chua, who brings a plethora experience to the table from working in International and Michelin Star restaurants such as LP+Tetsu. 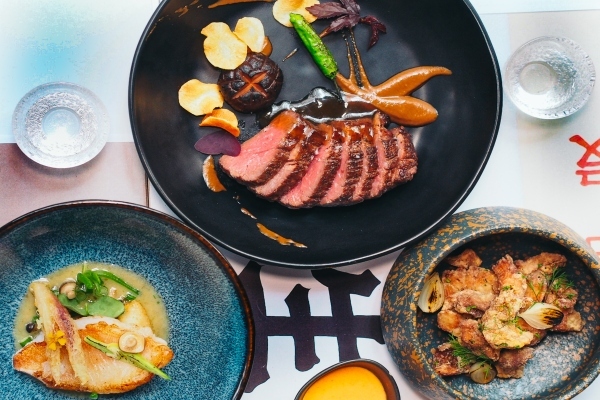 The menu is divided into five distinct sections: Starters, Maki, Aburi Nigiri, Hot Small Plates and Hot Big Plates, all challenging the boundaries of what diners have in mind about Japanese cuisine—and taking it to a whole new level. 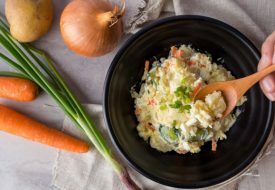 Chef Lamley’s craft can be defined by his tremendous respect for tradition and maintaining the integrity of ingredients—true to bushido way of values that he lives by. The spicy tuna roll has its origins from Los Angeles in the early 1970s and was created by mixing tuna scraps with chilli sauce. 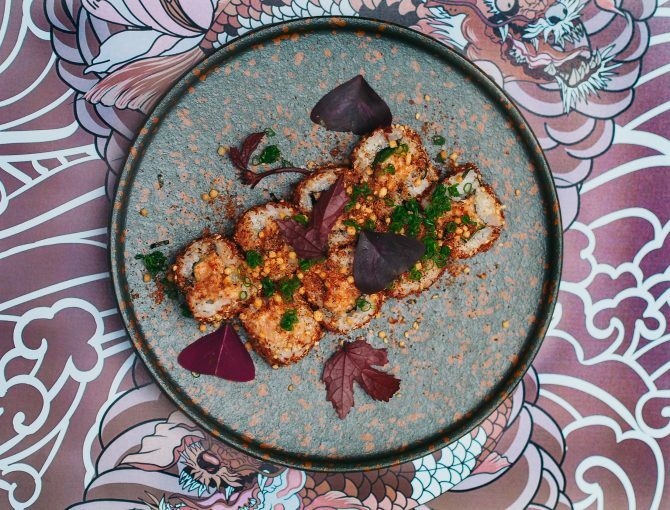 Taking inspiration from this popular dish, Chef Lamley brought forth the Chi Kinjo 80’s Spicy Tuna Roll ($16.00), dressed with an Asian spicy sauce and finished off with a sprinkle of bonito flakes for that extra smokiness. Another highlight is the Crouching Tiger Roll ($20.00) that incorporates three different types of prawns prepared using various culinary techniques, creating a contrast of flavours and textures in one bite. 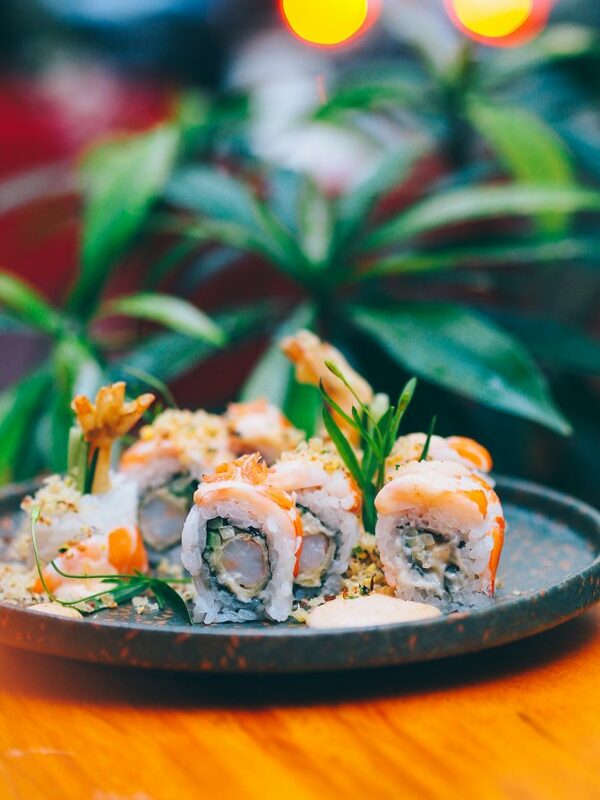 Crunchy prawn tempura is wrapped with sushi rice, while the roll is wrapped with steamed tiger prawns on the outside, and finished with a sprinkling of sakura ebi for an added crunch. 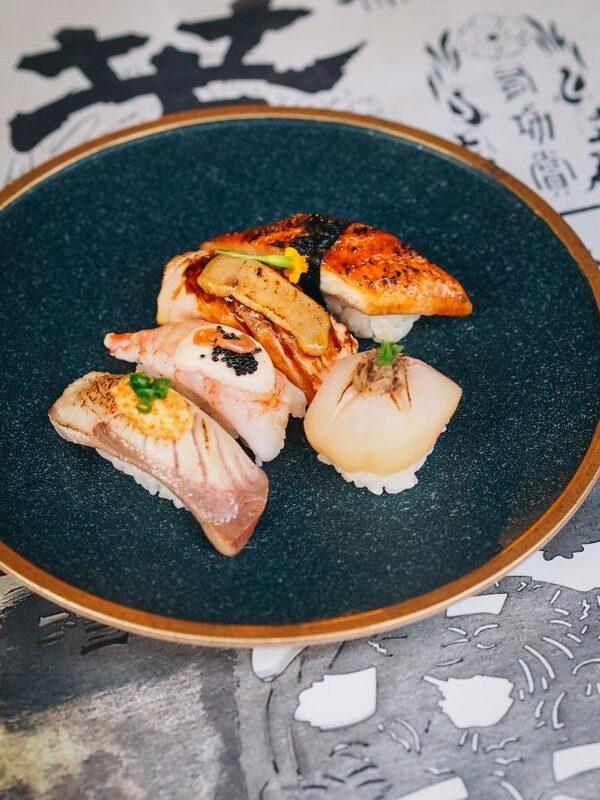 Chi Kinjo really goes all out when it comes to treating yourself, with a dish like the Aburi Nigiri ($12.00/2 pcs). 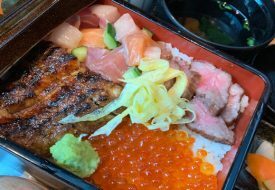 To create the Salmon and Foie Gras, the foie gras is marinated in miso and milk to further elevate the rich umami flavour, while the Buri Cheese features the highest grade of Japanese Yellowtail— seared and topped with smooth tobiko cheese. Chi Kinjo’s Smoked Wagyu Steak ($28.00) is a Big Plate menu offering that is definitely worth highlighting. Expect perfectly grilled wagyu steak, paired with black garlic onion cream, umami soy reduction and drizzled with charcoal oil—made by filtering olive oil through burnt charcoal, which adds a touch of smokiness with its charred flavours. With Chi Kinjo also being a highball den, you can expect nothing less than top tipples from this restaurant. Some notable mentions include the Sweet Pear & Rosemary ($16.00), an appetizing libation with a base of Tanqueray Gin. The drink showcases herbal notes from the rosemary, complemented by china pear, along with simple syrup, lemon juice and tonic water. The Gin & Ginger ($16.00) is a feisty concoction of muddled ginger and mint with Tanqueray 10, ginger beer, lime juice and simple syrup; with its spicy notes delicately balanced with the tart lime juice. Previous Post10 Famous Pigs In The World That Prove This Year’s Zodiac Animal Is So Blessed Next PostGucci Launches ‘The Alchemist’s Garden’: Would You Pay Big Bucks For This Luxury Collection?